This article was written by Betty Magee was originally published by the Cameron County Historical Commission on their original website, which is now defunct. The La Feria grant, under the jurisdiction of the municipality of Reynosa, Mexico, was allotted by the King of Spain to Captain Juan Jose Hinojosa and Rosa Maria Hinojosa de Balli in 1776. Captain Hinojosa was alcalde of the municipality of Reynosa and Jose de Balli was his son-in-law. 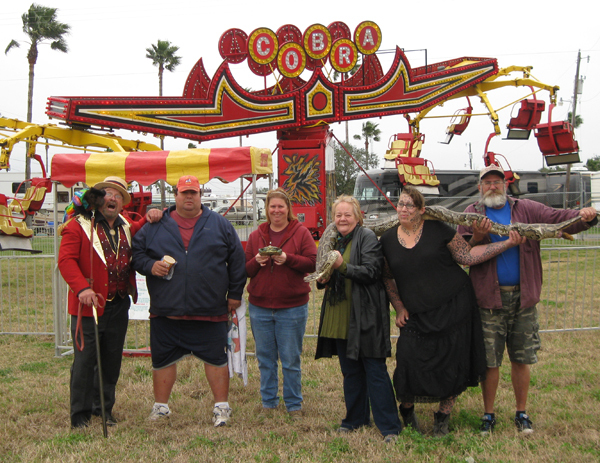 The La Feria grant was surveyed under the direction of Jose Antonio de la Garza Falcon. However, before Jose de Balli could take possession of his land, he died and others filed suit for the land in the La Feria grant. Rosa Maria Hinojosa de Balli, Jose Hinojosa’s widow, was unable to occupy the land left by her husband until 1790. The final decree was issued by the chief justice of the Province of San Luis Potosi on May II, 1790, allotting the lands to the Ballis. The Rio Grande Delta, at that time, was a land covered with mesquite, ebony trees, cactus, and other foliage, all of which seemed to be in competition as to the amount of thorns each could produce. Here the wild animals, the coyote, the lion, deer, and javelina roamed at will, along with rattlesnakes and a few men, both good and bad, in search of adventure. The heat was unbearable, and when the rains came, the thirsty earth soon turned to clinging, gummy mud. 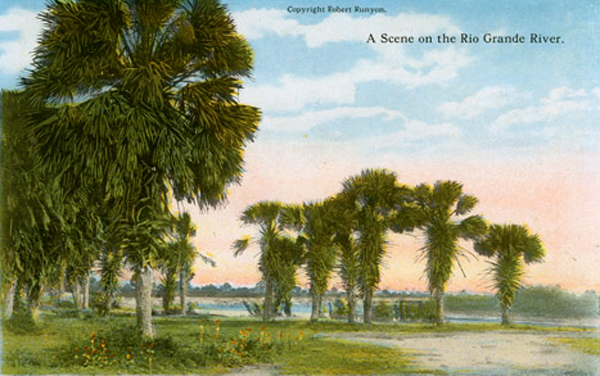 Along the Rio Grande was no place for the timid. Yet, men with foresight and ambition had begun to trickle into the area. The first man to realize the possibilities of this section was S. J. Schnorenberg. His first trip to the Valley in 1907 resulted in his Minnesota-Texas Land Company of Minneapolis, Minnesota’s, acquiring a strip of land out of the center of the La Feria grant. It started at the Rio Grande River, extended north about eighteen miles and was three-quarters of a mile wide. 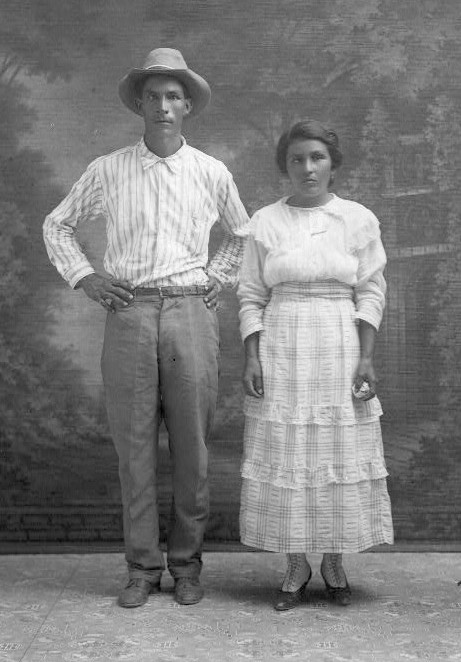 This Minnesota-Texas Colonization Company was extremely fortunate in that it sold practically all of its land to actual settlers and by March, 1908, the name La Feria became an interesting entry in the growing list of Valley townsites. It was almost an immediate success for the brush thicket and within a year it had a population of one hundred, a post office, hotel, five stores and an assortment of some fifty other buildings. The La Feria Land and Irrigation Company of Brownsville was organized June 23, 1908, with the view of rescuing 30,000 acres of desert land surrounding this small community. Actual construction got under way January 1, 1909. 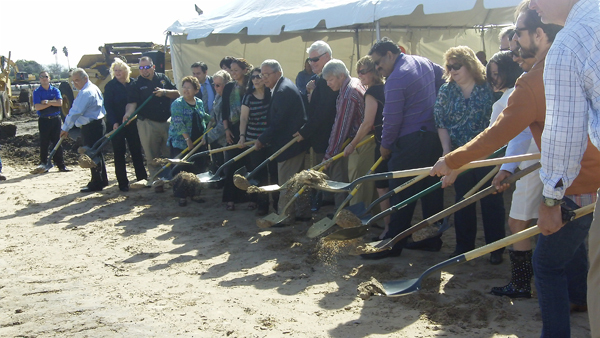 In that same year the La Feria Townsite Company was formed, a hotel was built and a few other buildings took shape. 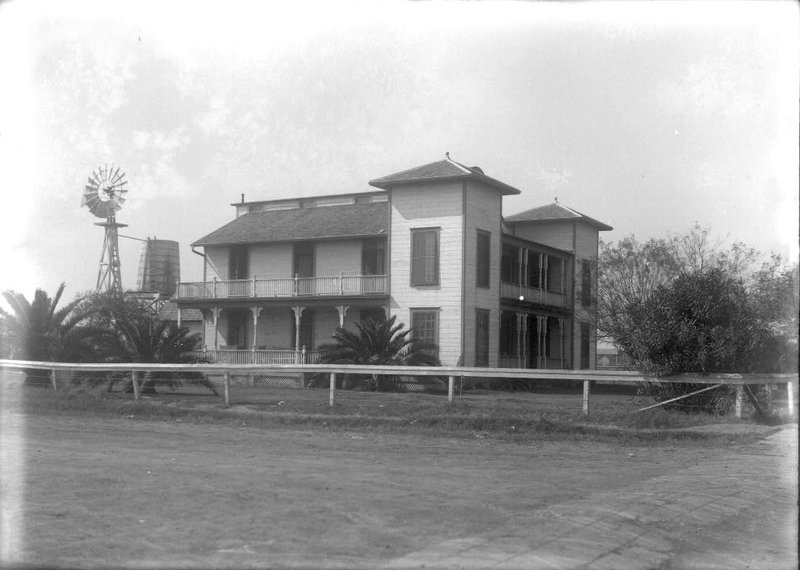 The La Feria Hotel was a two story frame building with a bit of gingerbread trimmings and a wide veranda. In 1911 the roads were winding, dusty in the dry season, and almost impassable when wet, but by now there were families, women and children, in this sparsely populated area. These families had arrived by covered wagons at first, then by train. 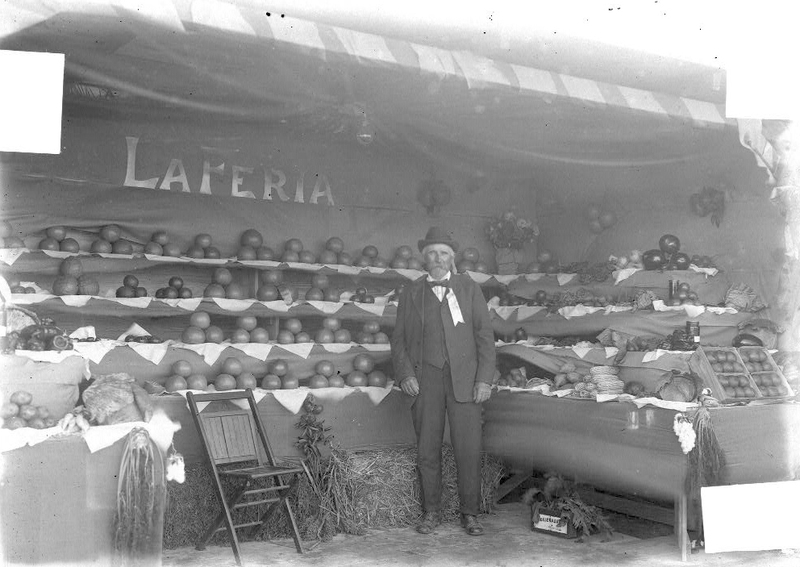 Fruit stand in La Feria at the early part of the century. Photo: Robert Runyon Photograph Collection/The Center for American History and General Libraries, University of Texas at Austin Click to enlarge. The settlers, of all faiths, held their first church service in 1911, in a small, unpretentious building that had been a pool hall, and a cantina before that. The Rev Dorsey, a Methodist minister from Harlingen, preached the first service. If the road was wet he made the fifteen mile trip by horse and buggy. He took a trail north out of Harlingen, skirted the shores of Tio Cano Lake, then drove west and south to La Feria. If the road was dry he dashed over in his two-cylinder, chain-driven, buggy-wheeled automobile. The explosive sounds of this contraption caused the deer and other animals to leap along the trail ahead of the car. 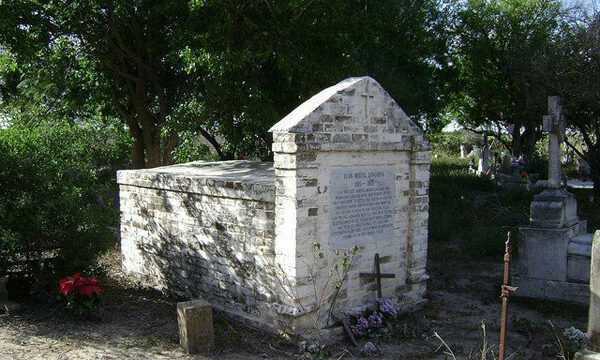 Reverend Dorsey could afford an automobile because he was a wealthy man who owned a sawmill in East Texas, was a bachelor, and lived in one room in the rear of the Harlingen church. If the people of La Feria had not taken matters into their own hands, the prosperous town that it is today might have been located a mile west of the present site and might still be called Bixby. President Uriah Lott of the St. Louis, Brownsville & Mexico railway had two good reasons to erect a depot at “mile post 9-plus” on the Hidalgo branch: It was the proper distance from Lon Hill’s town of Harlingen, and was surrounded by fine looking country. The name Bixby was given to the depot in honor of W. K. Bixby, a St. Louis financier who subscribed liberally to the syndicate promoting the construction of the railroad. However, no effort was made to open a townsite there, and the depot remained desolate and unused. A railroad station was the key to La Feria’s future, so founder Schnorenberg appealed to the railroad management for removal of the Bixby depot to his townsite. When he met with a polite refusal, he decided to take matters into his own hands. One night Mr. Schnorenberg gathered a group of his citizens and in a horse-drawn wagon, they drove to Bixby and literally helped themselves to the station building by hoisting it onto a couple of flat cars and hauling it to La Feria where it served the community for several years. Some of the town fathers making up that depot-stealing party were W. E. Stewart, Harry McNeil, P. B. Branch, and 0. E. Walker. On May 20,1915, La Feria, “The Village Beautiful,” was incorporated. Among the pioneers who left footprints upon its sands was Bailey H. Dunlap, the first elected mayor. 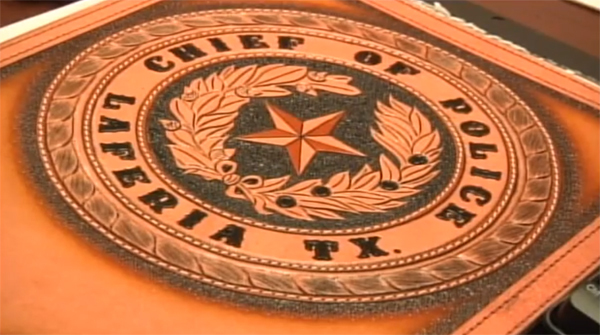 From a population of about four hundred in 1915, when the city was founded, it has grown to its present size of about 6,300 residents and remains the most western city in Cameron County right in the center of the Valley. Betty Jean Wilkey Magee was born on October 9, 1927 in Little Rock, Arkansas to Samuel Henry Wilkey and Osa Wilkey. She graduated High School in Texarkana, Texas in 1942 and attended North Texas State Teachers College in Denton, Texas where she graduated June 2, 1948 with a Bachelor of Arts in Journalism. 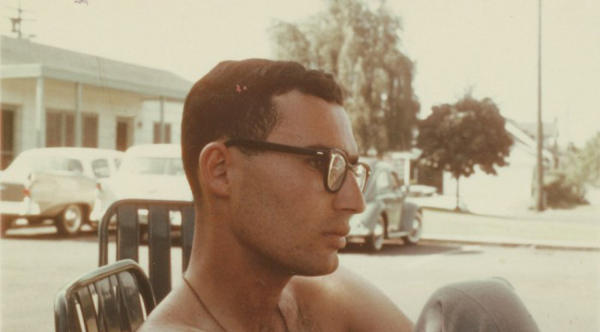 In 1949 to further her education, she attended the University of Colorado in Boulder. Betty was a teacher for 27 years in Fort Worth, Mercedes, and La Feria, Texas where she retired from the teaching profession. Because of her love of travel, she later worked for Go with Jo Tours as a tour guide. Her colossal knowledge of history, added spark to every tour she guided. Later, her love of reading led her to work for the City of La Feria as a Librarian. Her guidance through the maze of books was always a blessing to many, especially a student conducting research or writing a term paper. She passed away on Saturday, October 31, 2009 at her residence in La Feria, TX with her children at her side. Written by: admin on July 10, 2015. I love reading the history of our hometown . Thank you for sharing . My grandma was an amazing woman. I wish I was old enough when she was here for her to tell me stories. Glad to have read some history of our hometown. I remember when I was 4 years old my great grandmother was owner of a restaurant and a bar the name of the bar was triple nickel bar.I don’t remember the name of the restaurant ,but I do remember that they were located on the corner of first and west Street. My great grandmother’s name was Juana Balli everyone called her Juanita. I remember my great grandma and I would get up at 4 to open the restaurant for the workers that worked at this big warehouses that were across the street from the restaurant. Sometimes I close my eyes and I see everything the way it was when I was 4 years old. I like remembering those years. My great grandma is Juanita Balli she was Rosa Maria Hinojosa de Balli great great great great great granddaughter. What was status of Tio Cano lake and La Feria in the 1840s? My great great grandfather, William D Thomas, supposedly lived at rancho Laguna Tio Cano in 1840s. The ranch was raided during Gen Cortina wars. He survived the raid and he with family escaped northward to Refugio area.